Swimmers have special bathing suits, fencers have those suits with masks, and footballers have their jerseys; so, what do trampoline athletes wear? To be the best you have to look the best, not to mention wear the correct equipment. We’ve broken down what you should wear if you dream of being a professional trampoline gymnast. For class or training sessions, it is best to wear loose fitting clothing that is comfortable. T-shirts and leggings are ideal. Ensure that your comfy clothes aren’t too baggy or floppy, they’ll get in the way of your bounce. Also, it is best not to wear socks as you will most likely slip. There are special trampoline shoes designed for the sport that might be worth investing in. These shoes are similar to slippers but with a gripped sole so you do not slip. The shoe moulds around your feet for maximum flexibility too. For trampoline competitions, the attire differs for males and females. Regulation attire for girls is a sleeveless or long-sleeved leotard without shorts or leg coverings. For boys, regulation attire is a fitted tank top and gymnastic pants or shorts (fitted enough to give the appearance of a leotard). For long hair, it is advised to have it braided. It should be up and away from the eyes for sight and braids reduce bulk on the head when doing rolls and other manoeuvres. It is also advised to not wear jewellery. 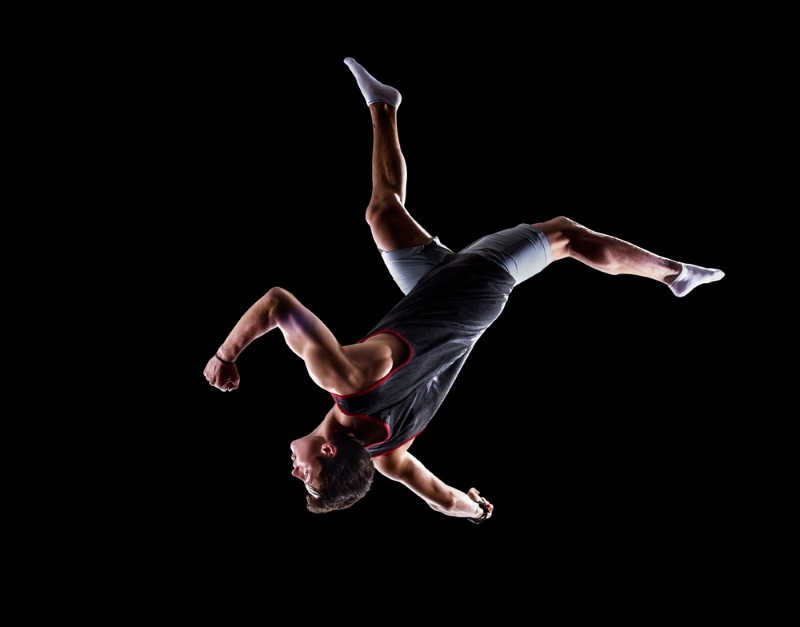 So, now you can look the part while playing the part (being a pro-trampoline athlete). If you want to jump like a pro you should own a pro trampoline. Topline Trampolines is a manufacturer of durable, professional-grade trampolines. Visit our warehouse on the Gold Coast to talk to an expert or browse our range of products online.